Your website includes a custom menu with links to your news section and your pages. 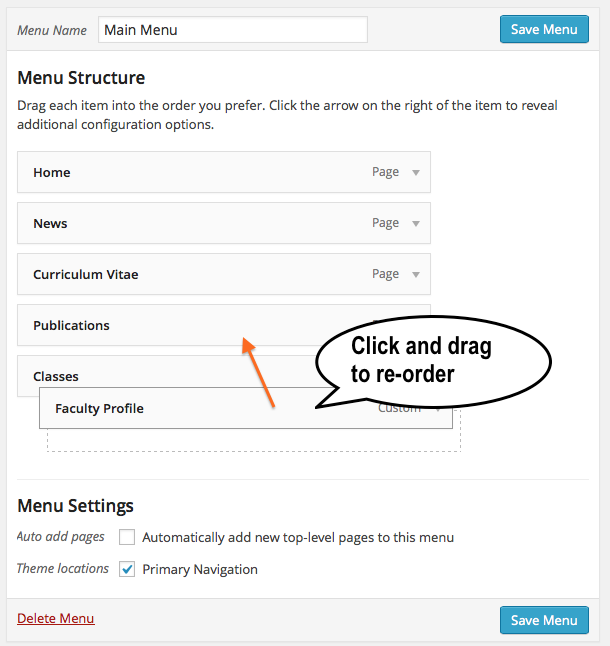 You can edit this menu at any time, add new items and re-order the menu items using a simple drag-and-drop interface. Select Appearance > Menus from the Admin Toolbar on the left. 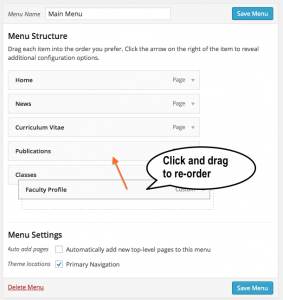 To change the order of the Main Menu, select the menu item you want to move and drag to a new location. 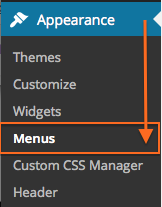 You can create sub-menus by dragging a menu item underneath and to the right of another menu item. If you’ve made any changes, click Save Menu. 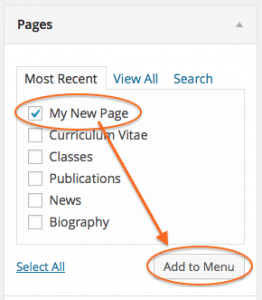 Optional: You may also check the item “Automatically add new top-level pages to this menu”. This will automatically add any pages that do not have a parent page. 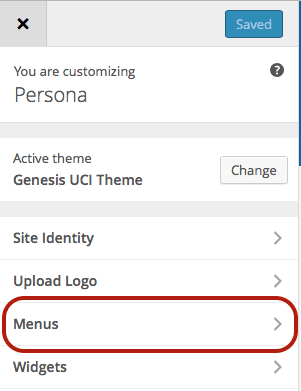 You can add different types of menu items including Pages you have published, custom links to other web pages and categories of Posts. Create a new page and Publish it. To add your new page, select the page from the Pages panel and click Add to Menu. 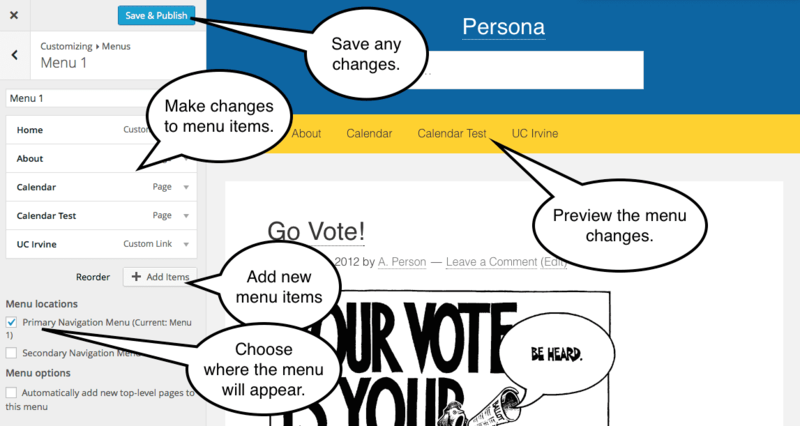 The new page will be added at the bottom of your Main Menu list. Drag the new menu item to the desired location. 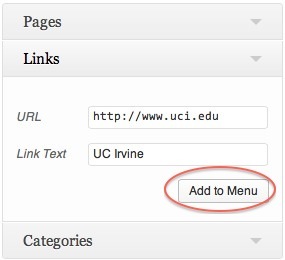 To add a custom link, expand the Links menu panel by clicking on the triangle. Type the website address in the URL field of the Links panel. Type a short description in the Label field. This will be the text displayed in the Menu.